Healthy Writers Club: Manatees and Squeeing! Happy Friday, everyone! I am cheating and writing this post on Monday (four days before I'm supposed to), so I'm not exactly sure what my stats will be this week. However, I have a REALLY AWESOME excuse: I will be participating in the U.S. Geological Survey's annual wild manatee study in Crystal River National Wildlife Refuge this week! You are probably wondering what a wild manatee study is, and you are probably sensing how ridiculous and nerdy my squeeing is over here. I will fill you in on the details. 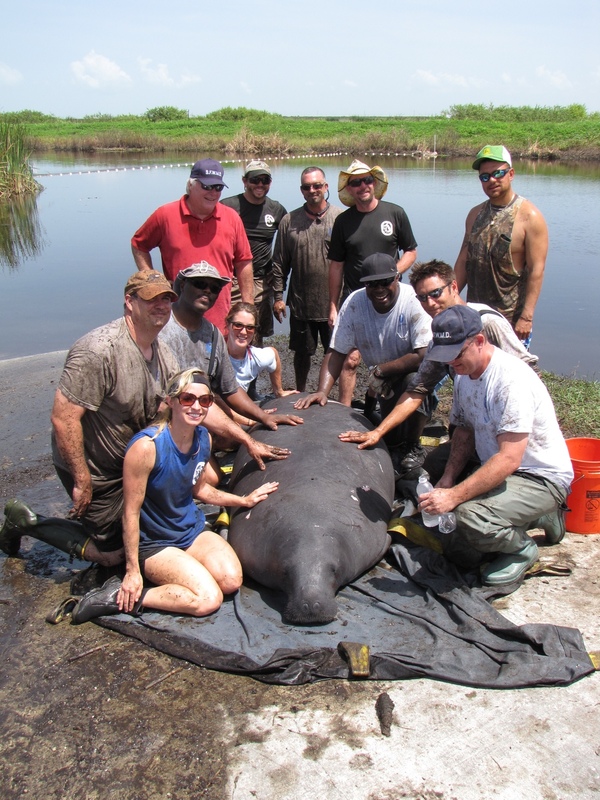 Over the last decade, the USGS has successfully captured, examined, and released over 300 manatees, creating an extensive sample and data archive. Research in greater Crystal River, Florida is providing needed baseline health information of West Indian manatees. This is the fourth year of the wild manatee study at the Crystal River National Wildlife Refuge. Health assessments are a valuable tool to determine the fitness, specifically related to environmental and medical issues, of any population of wildlife. 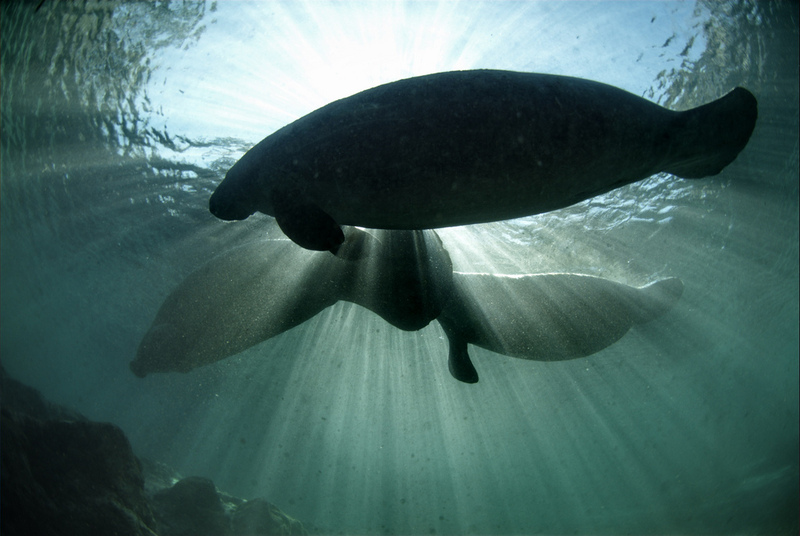 Marine mammals, such as manatees, are often used as sentinels for emerging threats to the ocean environment and human health. 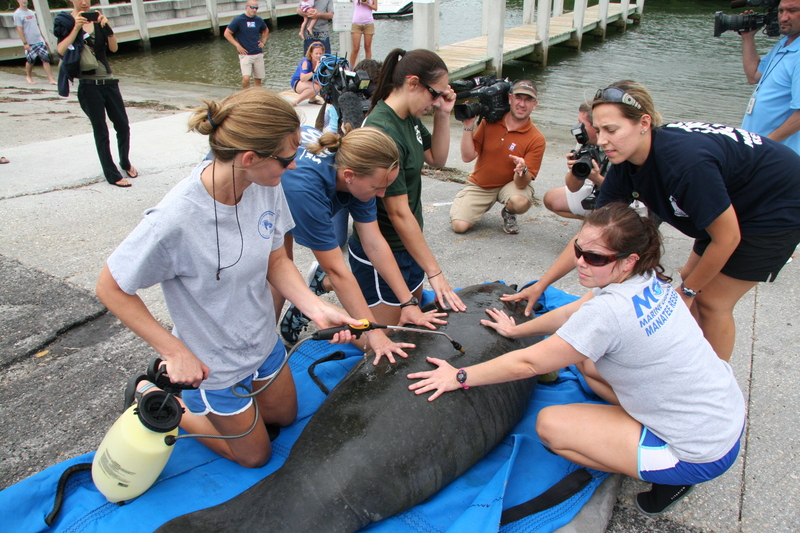 A two-team approach is used to capture and exam manatees. The Capture Team and Assessment Team both consist of biologists and veterinarians representing federal, state and local government agencies. All procedures are conducted by experienced biologists and veterinary personnel. Manatees selected for capture are circled with a large net and pulled onto the beach by an experienced capture team. 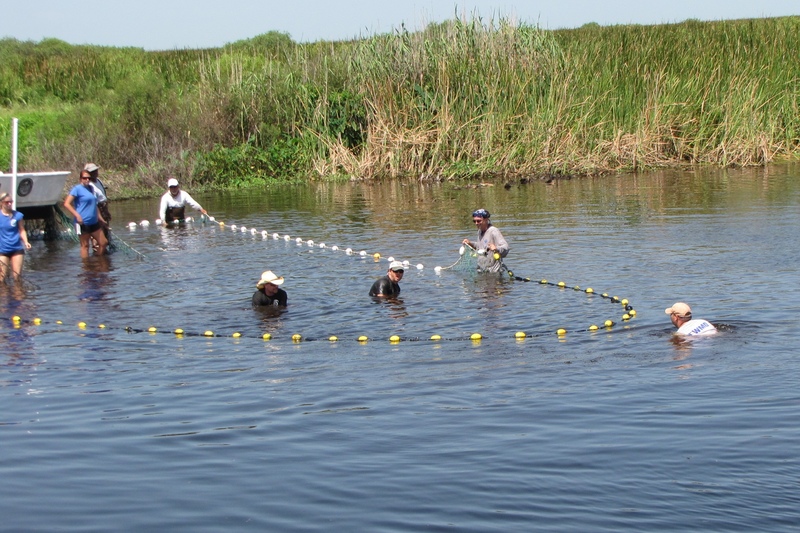 Improvements in the handling of wild manatees are possible by monitoring individuals using ECG and evaluating inflammatory response to injury or disease during capture. Blood biochemistry and hematology research has benefited manatee clinical medicine by establishing normal ranges for veterinary evaluations of healthy wild manatees. OMG, those of you who are familiar with my first novel, THE MERMAID GENE, already know my protagonist Kai Murphy is the daughter of a famous dolphin researcher who does catch and release medical exams like this all the time. The fact that I built an entire novel out of the AWESOMENESS THAT IS WHAT I GET TO DO IN CRYSTAL RIVER means this adventure will absolutely qualify for my Healthy Writers Club BODY, MIND and SPIRIT milestones this week. I will fill you in on all the details when I return! Written by LisaAnn On November 30, 2012 In "capture", "crystal river national wildlife refuge", "health assessment", "healthy writers club", "lisa ann o'kane", "lisa ann okane", "manatee research", "manatee", "u.s. geological survey", "usgs", "young adult writer"